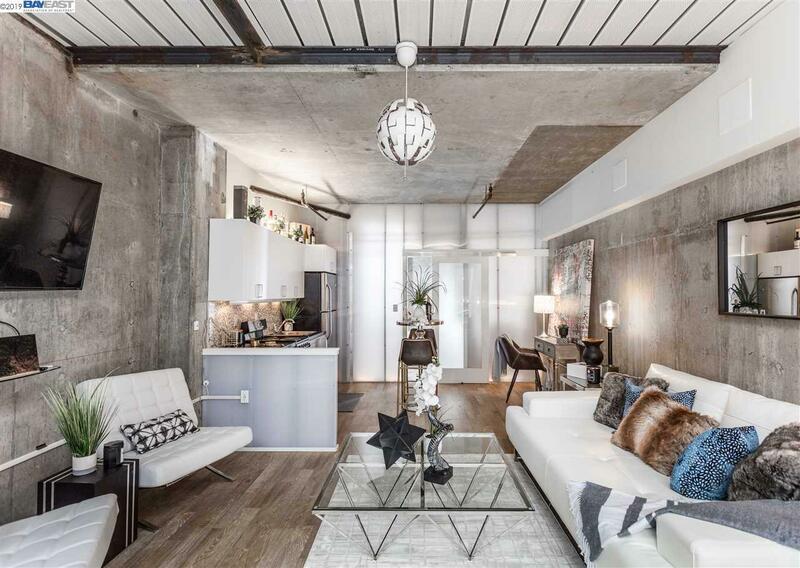 Little, but mighty, this unique two-story, live-work condominium features a modern kitchen, full bathroom, large closet and open space to design your perfect live, work, or live/work urban loft. A spiral staircase leads way to a separate area to sleep, work, or play, and a street-level entry opens to a small patio in front. Perfect for the creative client. One-parking space and access to the building common areas are also included. Uptown Place amenities include a serene courtyard with Built-in BBQ, community room, dog run and fitness room. Uptown Place is in the heart of Oakland's most vibrant and growing food, art and entertainment community. It is located less than three blocks from BART. Fox Theater, Paramount Theater, The HIVE, art galleries, ice cream shops, cafes, breweries and a plethora of top-notch restaurants are a short walk away.